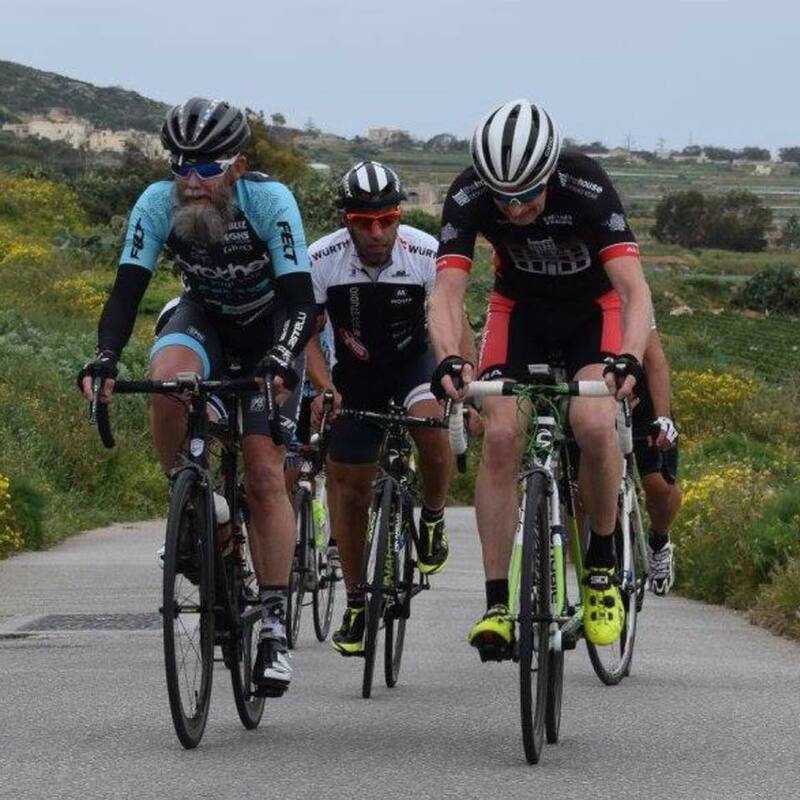 Tour ta Malta 6th - 9th April 2017 - Part One | theraceforthecafe.com . This is the first of two posts on the race as I have loads of pictures to share and lots to talk about. 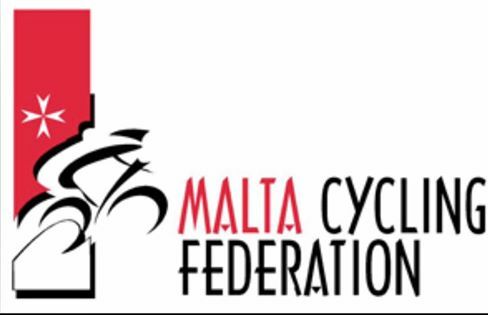 In this post I will focus on the racing and the results and in my next post the emphasis will be on the overall experience along with my impressions of Malta and the Maltese people plus some guidance for anyone who might fancy having a crack at the TtM in the future - I would really recommend it. The first and most important thing to say is that we only went and won the thing! 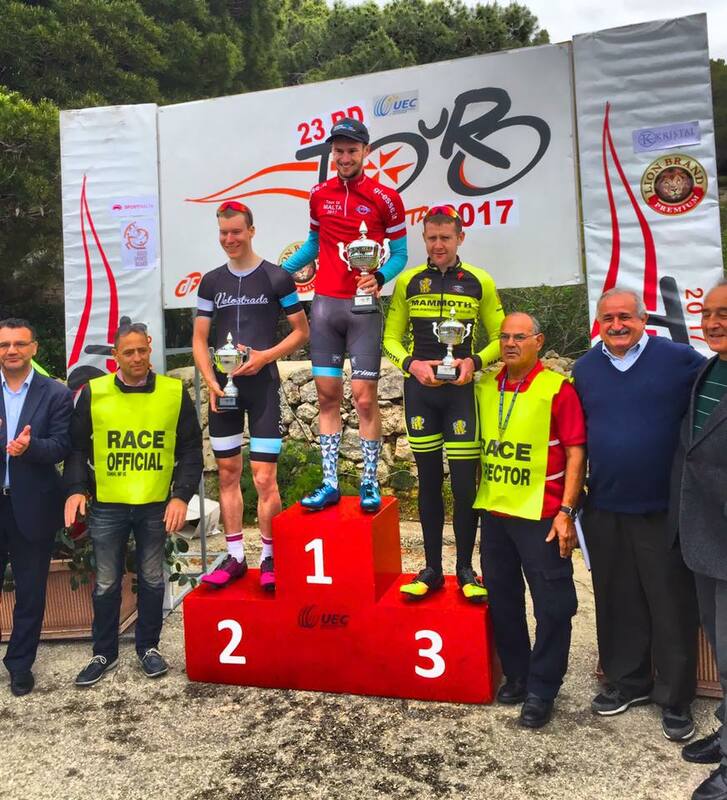 Will Brown from Brother/NRG/DriverPlan on the podium wearing the red leaders jersey with the overall winners trophy, 2nd Henrik Forland (Velostrada Test Team) 3rd Danny Smith (Mammoth Lifestyle Racing). Will had held the leaders jersey after Stage 2 but lost time on Stage 3. 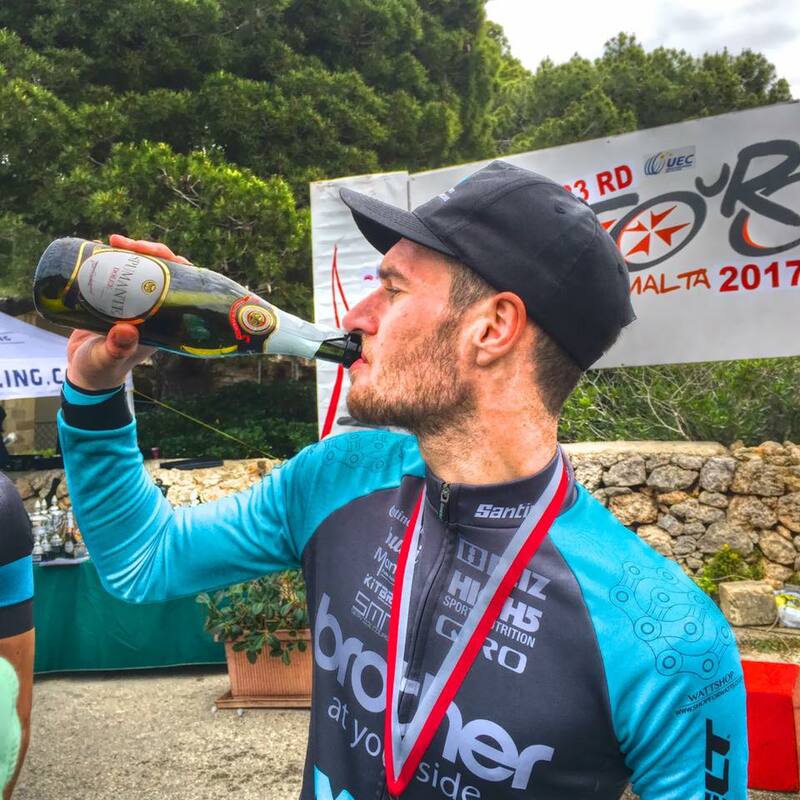 His bold attack on the final day not only earned him the stage win but also gained him enough time to take back the red jersey and the overall win - a fantastic performance by Will and the team and a great end to our week in Malta. 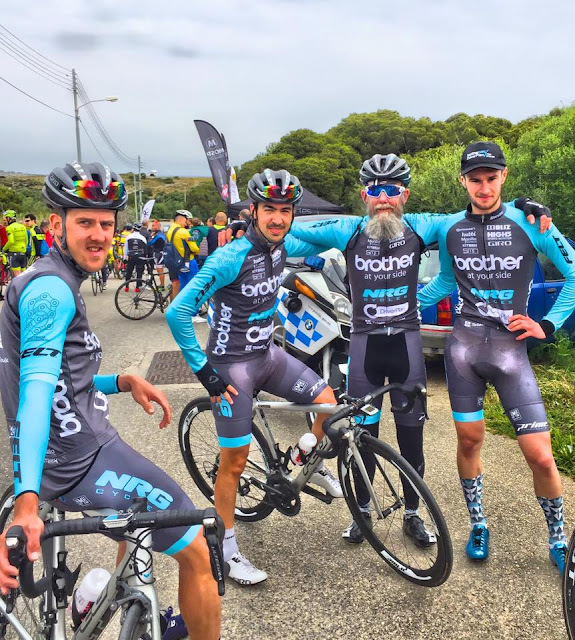 The BrotherNRG/DriverPlan team at this years Tour ta Malta (L-R) Jack Rees, Tom Timothy, yours truly and winner of two stages and the overalll classification Will Brown. I was competing in the 40 and over Masters category - which meant four hard days of racing for this 61 year old! 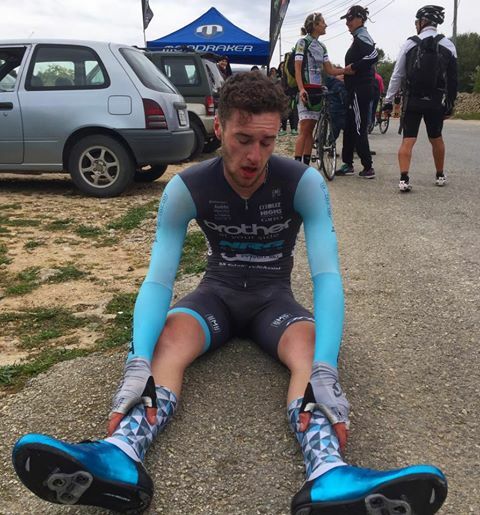 Will looking just a little bit tired seconds after his epic win with a stunning solo effort from a break of three. Stage 1 of the Tour is a 9.4 mile individual TT on the coast road at Saint Pauls Bay. 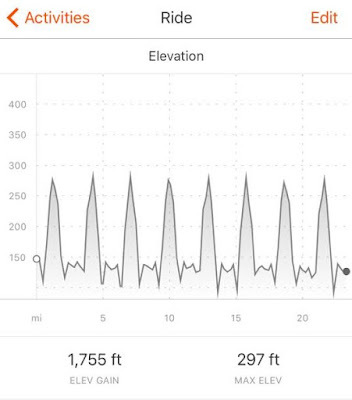 Three laps of an undulating course with five dead turns. Above Kevin McNeill of Chorlton Velo starts his effort .Off the start ramp and the road climbs up to a roundabout then descends to a dead turn at another roundabout. Back up the hill and a fast descent to another dead turn around a cone adjacent to the start ramp - repeat three times. The fastest time of the day for the 9.4 miles was 21.15. I was reasonably happy with a 26.06 in my first TT for many years. 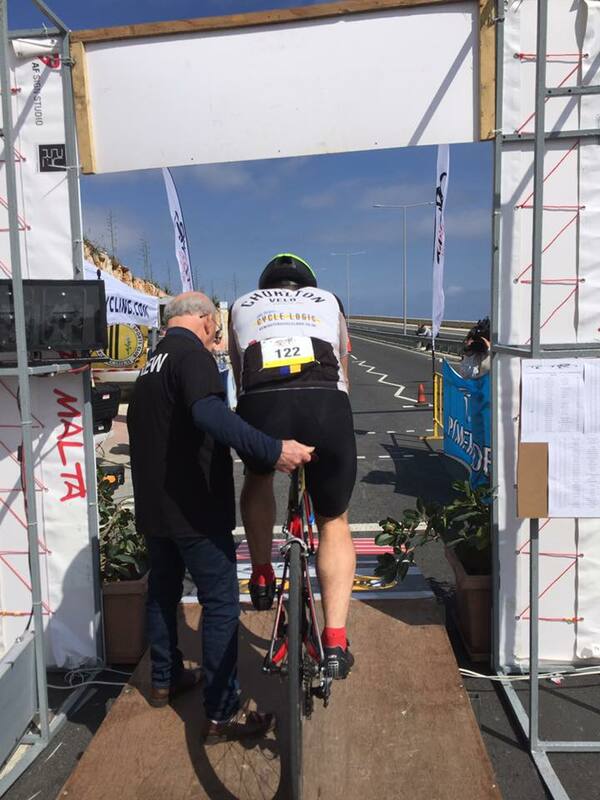 The TT takes place on one side of a dual carriage way - a completely closed circuit and well marshalled but a blustery wind on the day made it a tough test. 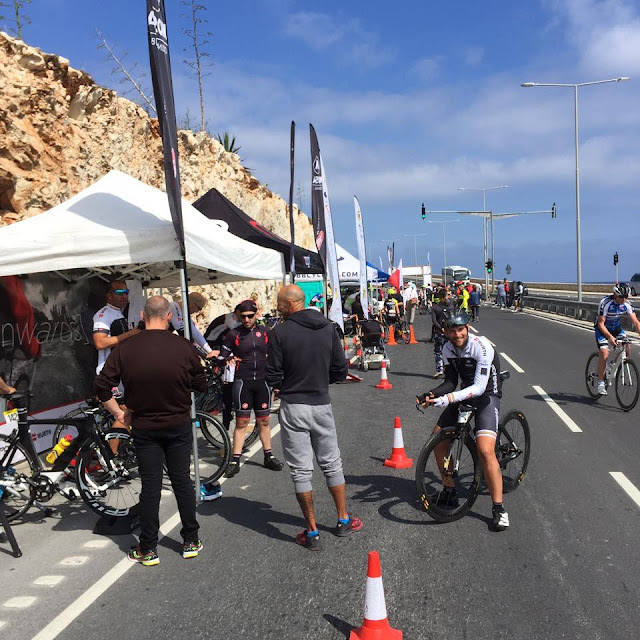 Stage 2 and the location is the Saint Pauls Bay by-pass, closed roads again on an undulating section of dual carriageway. Basically a crit between two roundabouts with a hill between them. 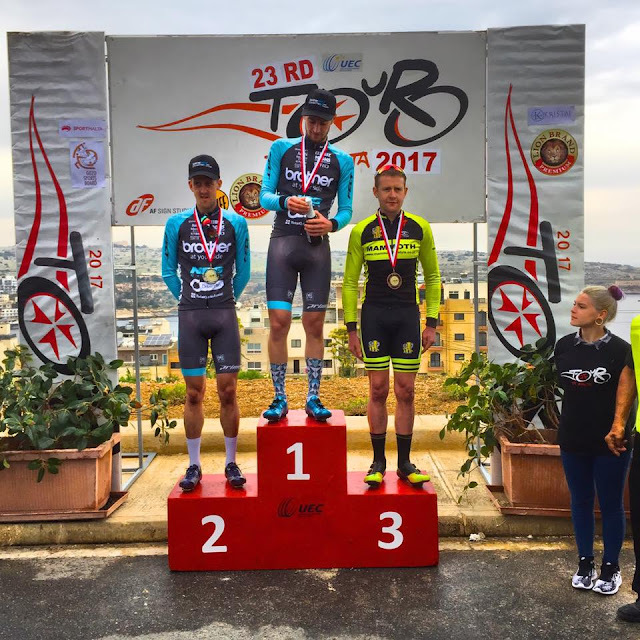 Will took the Stage 2 win with long attack on the final lap. 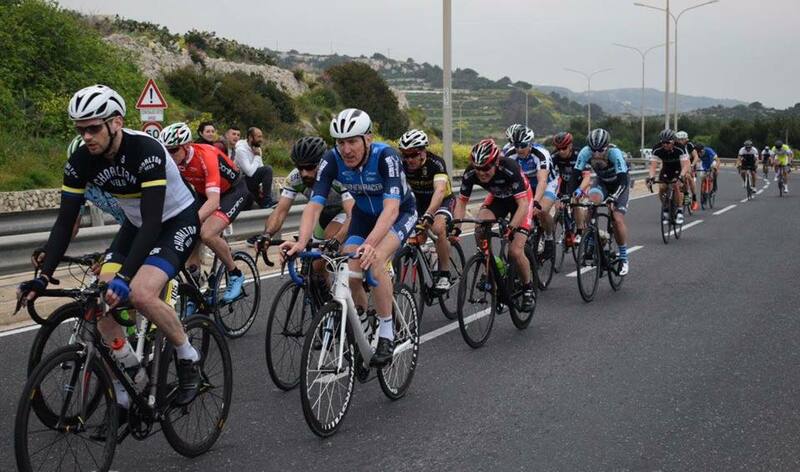 Jack took 2nd fairly comfortably in the bunch sprint with Danny Smith (Mammoth Lifestyle Racing) taking third. A good contingent of North East riders in the race with Fiesten Tempo fielding a strong team of six led by Steven Bell (far left) - Ian Brown (Will's Dad - not pictured) was also riding. Stage 3. 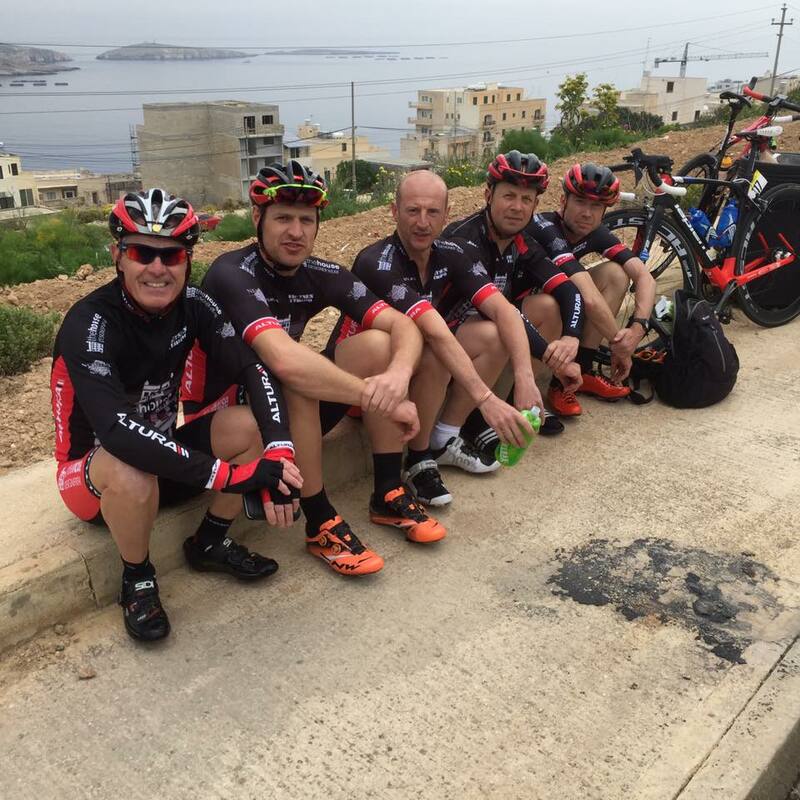 On the third day we took an early ferry for the short crossing to the beautiful island of Gozo. 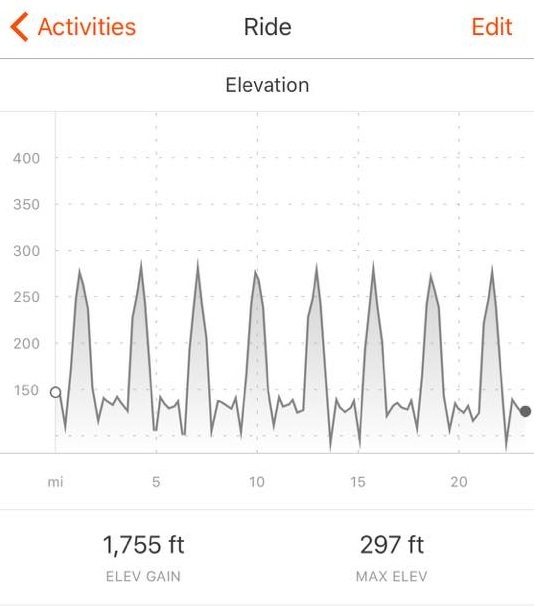 The profile of Stage 3 - basically race up a big hill turn around a cone and race back down the hill to another dead turn at a roundabout - repeat eight times. 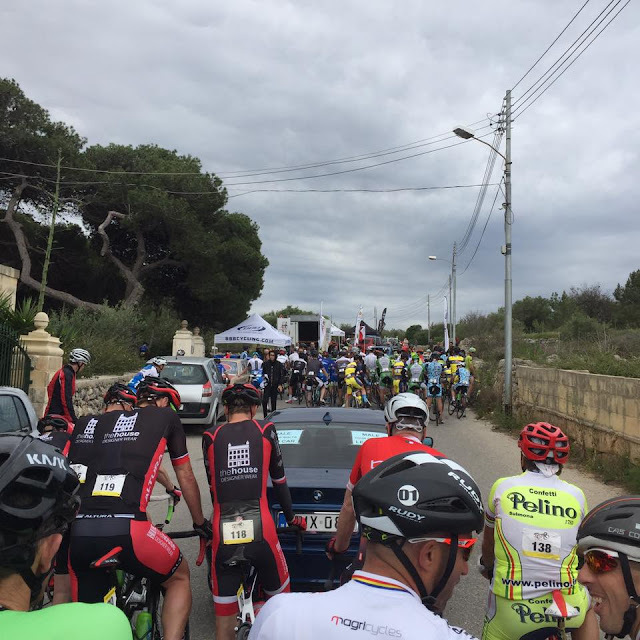 Scott Tams trying to get the group organised as we head back towards the climb into a strong headwind. In the same group on the climb up to the hill top town of Nadur with local riders Colin Tabone (Team Greens) Michael Lia ( Mosta AF Sign Studio) and UK rider Kevin Borg (Team 300) A dead turn at the top followed by a very fast descent down to the start/finish at the Marsa horse racing track. Stage 4 is the longest of the race and the one that is most like a British road race. The start and finish are on the top of a hill.The Elites took on the circuit 10 times and the Masters had 6 laps to complete. The start of Stage 4 with the Elites starting first, followed by the Masters and then the Ladies. 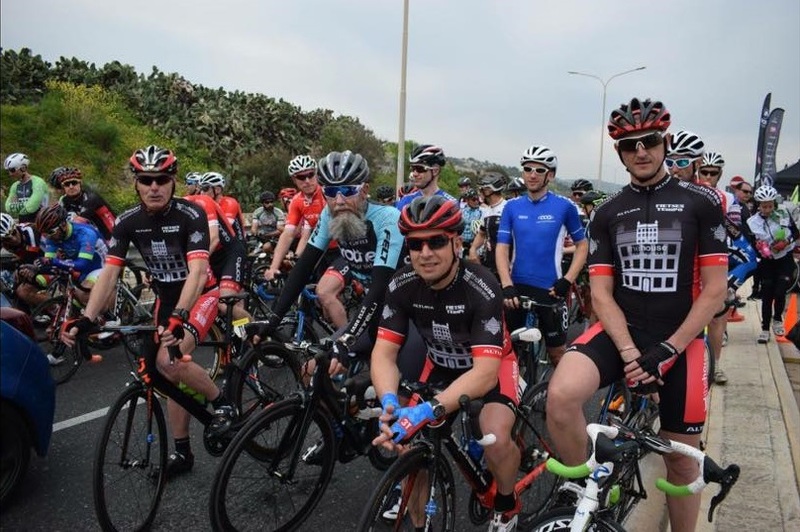 Fiesten Tempo well represented on the front row of the Masters grid. A lead car was provided for each group along with police motorcycle escorts and marshalls on every corner. 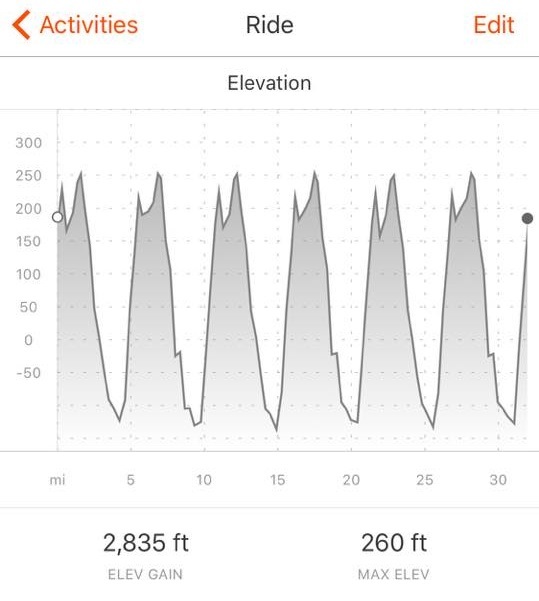 The profile for Stage 4 - It was 32 miles for the Masters with six ascents up the 1.2 mile San Martin climb - which was quite enough for me thank you very much. 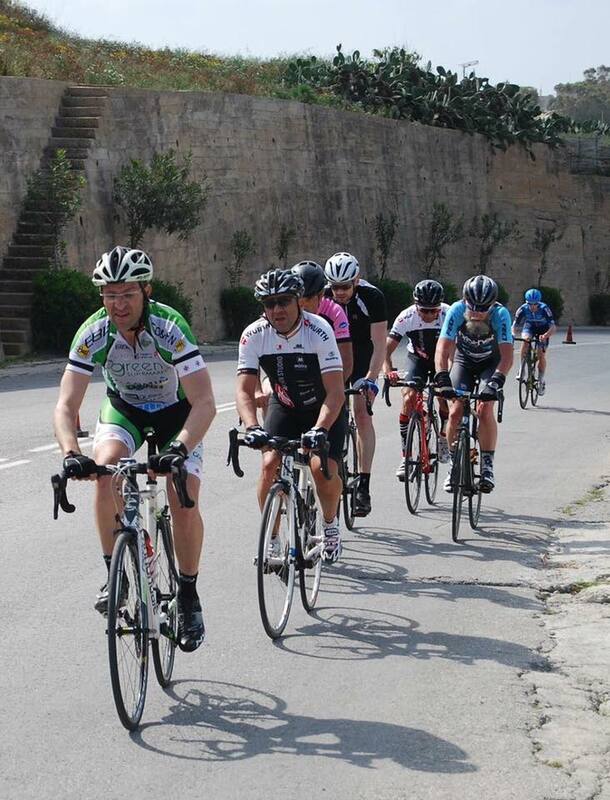 On the San Martin climb with strong local rider Pio Vassallo (centre) riding for Mosta AF Sign Studio and Will's Dad Ian on the right riding for Fiesten Tempo. 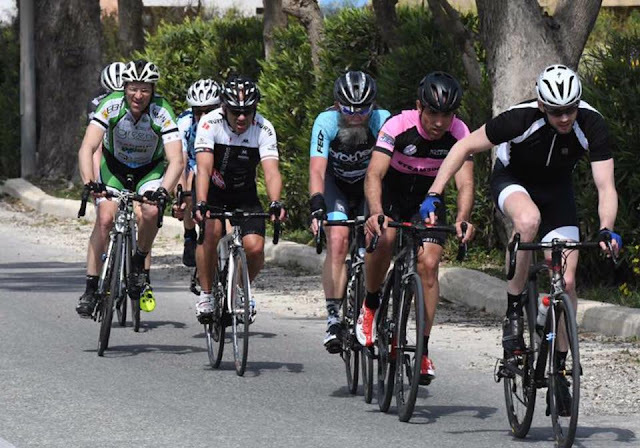 Ian did really well to finish the tour strongly after suffering badly with stomach problems on day two. Our winning team with my son Jack (left) Will Brown ( center) winner of two stages and the overall and Tom Timothy (right) who had a great week at the TtM with a particularly strong ride on Stage 2 - getting in the early break and then working on the front to help Will try and retain the red leader's jersey. 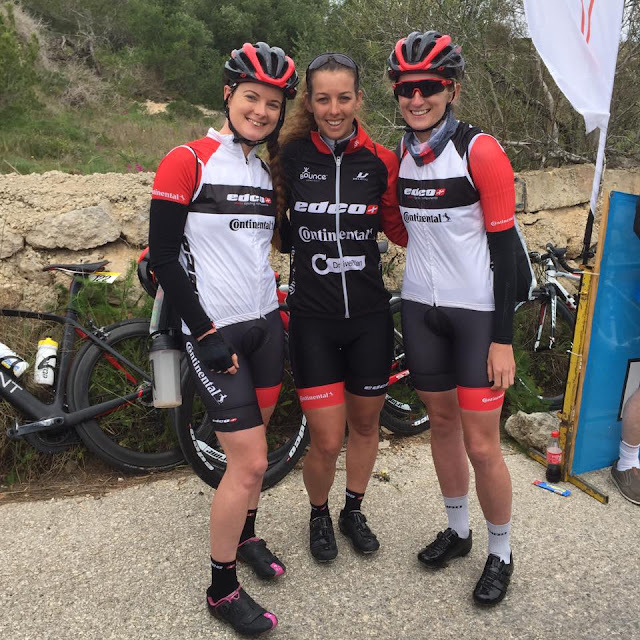 Also at the race and great company all week was a strong team from the DriverPlan Edco Continental team. L-R Ellen McDermott, Jennifer Batey and Hannah Farran. A great showing by the team with Ellen taking two 2nd places and 5th in the overall classsification. Where did I finish? - Well I went to the tour with two objectives. 1 - Complete all four stages. 2 - Not finish last. I actually finished 34th in a field 47 in the Masters race so I was pretty happy with that. Key learning for me is that in a four day stage race the opening TT although relatively short is absolutely crucial to your chances in the general classification. 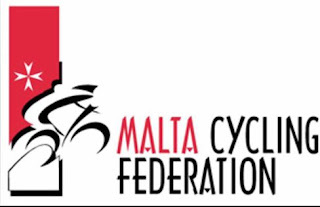 So expect to see me wearing a 'pointy hat' at the Tour Ta Malta TT next year - I am already looking forward to it. Overall a great weeks racing - in my next post a bit more on the organisation of the race which was excellent and on the overall experience.